cardiovascular and joint health. 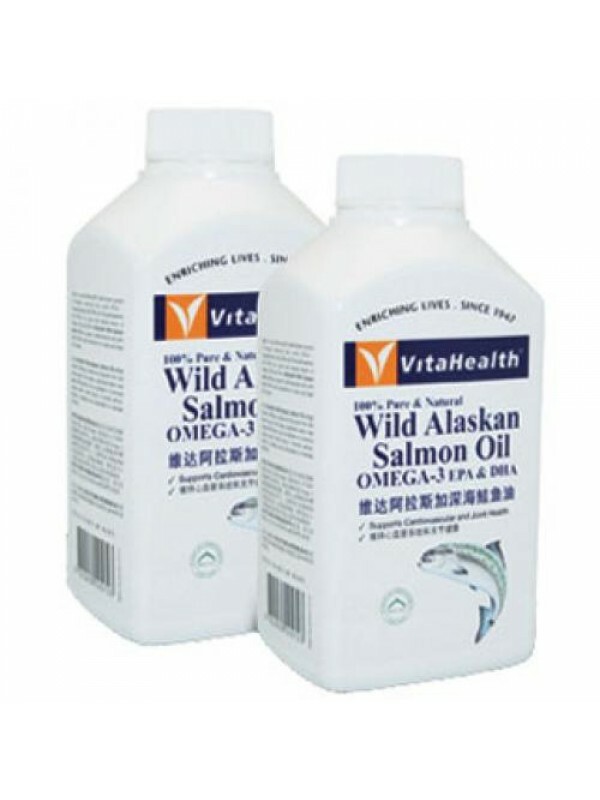 As a pure and natural source of Omega-3 EPA and DHA, contains 1000mg of salmon oil extracted from wild salmon found in the deep and unpolluted waters near Alaska. Each softgel contains Wild Alaskan Salmon Fish Oil 1000mg, Omega-3 EFAs 300mg which provides EPA (Eicosapentaenoic Acids) 180mg and DHA (Docosahexaenoic Acids) 120mg, and Natural Vitamin E 2IU. As an Omega-3 supplement: Take 1 softgel a day with food, or as directed by a healthcare professional. For cardiovascular support: Take 3 softgels a day with food, or as directed by a healthcare professional.